Kid in the Kayak: The Chicken and The Newt. The Chicken and The Newt. My chicken ate a newt. 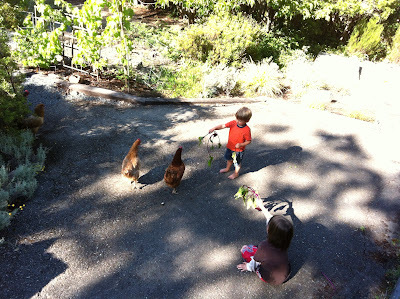 I'm not sure I've even mentioned that we own chickens. As of 6:30 pm, there were 4 of them. I'm hoping that's still the case in the morning. We got them in May. 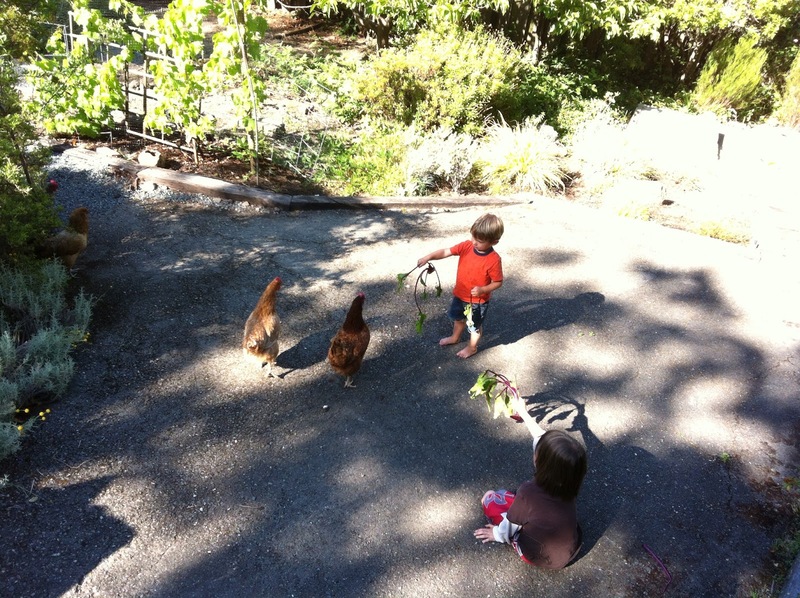 My mom and my kid drove out to this organic farm where the farmer was converting from hens to crops, and selling off his layers, and they came home with four of them, in a box. A Rhode Island red ( she follows us everywhere and talks a lot, is super friendly to people and the leader of her chicken pack), a Plymouth Rock (black and white speckles, also very friendly), some sort of indeterminate pale red chicken who gets picked on, and an Easter Egger (a gorgeous pale brown with black tips to her feathers). Easter Eggers are called that because they lay blue or green eggs, and the only reason I know what she is, is because we caught her laying a pale blue egg her first day. Laid it on the ground right in front of me. So her name is Bunny, because what else do you call something that produces Easter eggs? 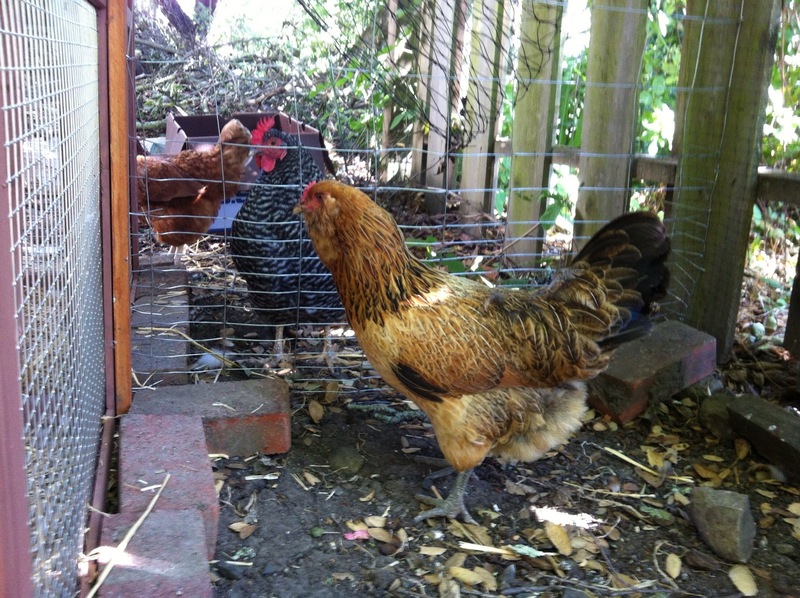 The other three all lay brown eggs. Bunny is the prettiest, but because chickens apparently are not like 11 year old girls in this matter, she is not the leader, in fact she's the least popular chicken among the pack, gets picked on by all the other three, and is the only one shy of us. But because she's pretty and we are like 11 year old girls in this matter, and she lays blue eggs, and she gets picked on and we route for the underchicken, Bunny is by far our favorite. The hen house, full of geese. A brown egg and a Bunny egg. Today Bunny ate a newt. I saw her with the newt, a limp and very wiggly rubbery bright orange thing dangling from her beak. I thought it was a ring-neck snake, as the garden's been full of them this summer and they have either bright orange or bright red bellies, and they curl up when they're scared, and this one looked curled up. I and Kid1 and Kid1's friend took off after Bunny, to save the snake. We tried to head her off. We tried to round her up. She is a fast chicken, let me tell you, but I wanted to save that snake. And as we closed in on her, she held up the snake for inspection. It wasn't a snake. It had two legs and two arms and a big bulbous head and it was still bright orange and I gave a great shriek of "NEWT", because now we weren't trying to save the snake, we were trying to save Bunny. The only newt in this part of the world that comes in that color is this one, and it is deadly poisonous if eaten. It has the same neurotoxin as the puffer fish, oddly enough. 1/18 of a newt is enough to kill a grown man. The only animal known to be immune is one type of snake. Everyone else dies within three hours, tops. I know this stuff because when Kid1 was three, he got very obsessive about newts and wouldn't stop asking questions until I'd read him every single word on the internet related to newts. I'm not kidding, every word. Even the molecular toxicology mechanics parts where your neuroreceptors get blocked by the toxin and you have convulsions and fall into paralysis and die. He was a funny kid. But that whole experience drilled it right into my head: Newts; they're not for dinner. The chicken ate the newt. Kid1 and Kid1's friend both saw it, from about 6 inches away, just as they were about to grab her. They both swear up down and center they saw it. I was 4 feet away, and I say I believe them. We called the vet to see if there was some sort of Ipecac for chickens, but they said one can't make a chicken throw up. I waited for horrible convulsions, or possibly paralysis. Kid1 and KidFriend discussed it in sad voices. 15 minutes post-newt, Bunny started yelling, in that loud sort of clucking quacking way chickens do when they're annoyed.. She yelled for about 10 minutes. We thought it was the end. Then she went on about her usual business. 6 hours later, she went to bed with the other chickens, as healthy as a horse. 1. 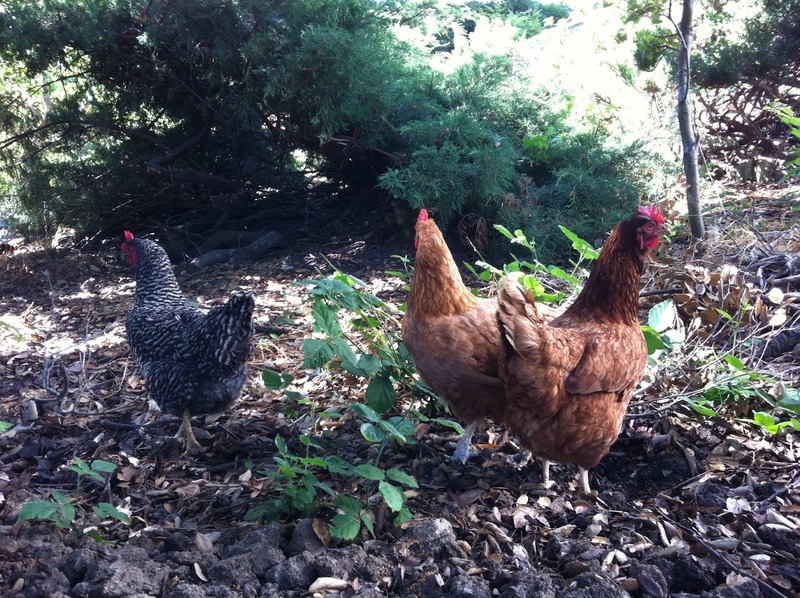 Chickens are immune to newt neurotoxins. This would be good, and also new to science, and also, some herpetologist should get on a study of that. Preferably by some means other than feeding newts to chickens. Said means were discussed in great detail at tonight's dinner table. If any herpetologist wants some ideas, my kid and I have got some. They're labor-intensive. 2. MY specific chicken is immune to newt neurotoxins. Which makes her a SuperChicken, and thus even cooler than we knew, and now she's our double-favorite chicken. 3. This particular individual newt wasn't toxic. He was walking around all blithely, thinking his color would save him, and he didn't even bother to touch up his neurotoxins when he got up this morning. If so, this says bad things about the future of the newt species. They ought to be more careful about things like that. Word gets out, is what I'm saying. Pretty soon anyone might be eating newt. 4. Ok, I got no four. Science is wrong, or the chicken has superpowers, or the newt was a dud. 5. It's going to be a long, long time before anyone round this house is eating a blue egg.